The ‘cost of living’ is a phrase that’s rarely out of the news, and increasing bills and prices in the shops appear to back up the claims that our household spending is on the rise. The Office of National Statistics (ONS) has released its report for the nation’s household spending for 2016/17 and it shows that we did spend more than the year before. The average amount spent by each family was £536.80 per week – that’s £5.90 more than in 2016 after inflation is taken into account. the most expensive year since 2006, and not far off the peak spent in 2005. The figures are calculated by the ONS every year by analysing the expenditure of households across the country to produce the averages. More than 50% of our spending goes on four main categories: Food, housing & fuel, transport and recreation. In each of them we spent more than the previous year. • Transport is the top spend at £79.70. • Housing (though not mortgage payments or Council Tax), fuel and power are third biggest costs, coming in at £73.50 a week. • Meat and fish make up a quarter of our £58.00 spend on food. The other top categories were restaurants and eating out (£50.10) and household goods and services (£39.230). Londoners pay the most overall, with the average spend £643.70. Those in the South East aren’t far behind, spending an average total of £632.20 a week. But there’s a £206 weekly difference between the most expensive and least. 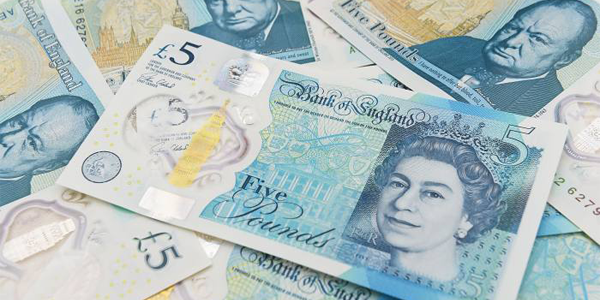 The North East has the lowest average at £437, with Wales not too far behind at £458.70. Remove London and the North of England from the average figures and people actually spend more on getting from A to B than renting and heating their home. ‘Recreation and culture’ – which includes spend on TVs, computers, books, pets and leisure activities – is below the average of £63.10 in Scotland, Wales, Northern Ireland, the North, West Midlands and London, whilst the Welsh and East Midlanders spend the least on eating and drinking out and hotels. Families in the South East and Northern Ireland spend the most on a food shop at £63 a week. That’s £6 more than the UK average and nearly £14 more than people in the North East and Yorkshire. Those in the Midlands spend the least on clothing and footwear, £3 less than the national average of £22.60.